In the 1930s, during the height of the Art Deco craze, Jewel Food Stores constructed a series of identical stores all across Chicagoland. Many of these buildings, with their distinct glazed white facades, survive today. I’ve found six to date, but I imagine there are many more. 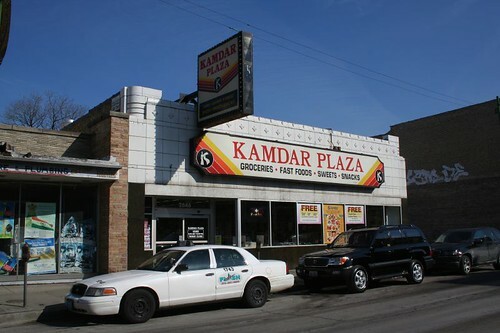 I can’t find the first word about these buildings online; it’s only thanks to Jacob at Forgotten Chicago that I even know what they used to be. 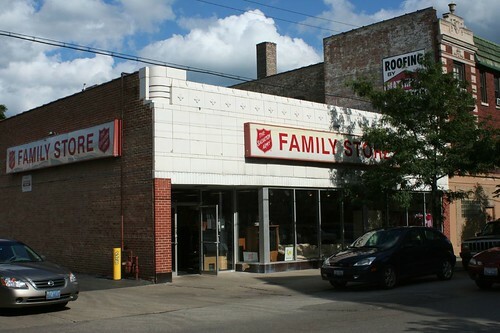 Even the exhaustive research at Pleasant Family Shopping barely mentions the 1930s style buildings. I can speculate that the white glazed tile appealed to the sense of modernity and hygiene, which was becoming a more common concern at the time. 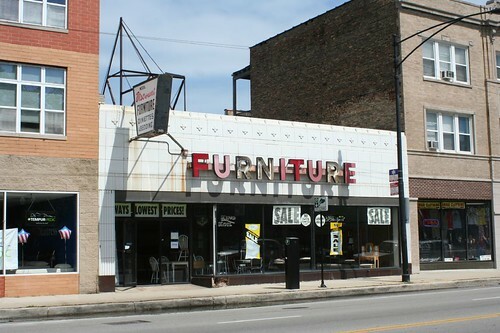 The little storefront buildings are quite adaptable; they’re serving all kinds of purposes today, from clothing and furniture to liquor sales. 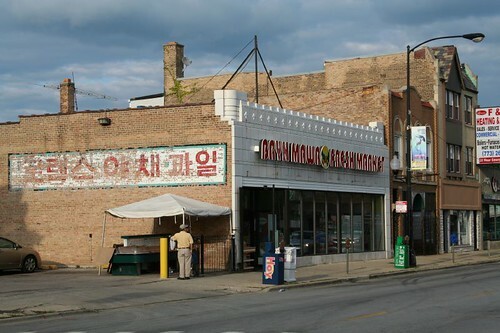 Several are home to independent ethnic grocers. This entry was posted in Art Deco, Devon Avenue, Terra Cotta, Uptown. Bookmark the permalink. So funny! I had never seen a single one of these buildings before, to my knowledge. Then yesterday, while helping a friend move, I saw two (the ones on Broadway and Lawrence)! They are quite charming, and your blog post is very timely for me. About a year or so ago Dave from Pleasant Family Shopping did post a great ad of addresses for very early, very tiny Jewel Stores. I had gone and grabbed photos of a few while some others are gone. Never got around to finishing it though. Wow, what a wonderful photo-record of these great stores! There really isn't a lot of information out about the white glazed-block fronted Jewels, except that the company deliberately sought to promote the "clean" image. "Clean and white and sparkling bright" was a tagline that Jewel actually used in the mid and late 30's. The ad that Didi refers to on my site dates from 1934, but these stores are probably of late 30's or early 40's vintage due to their larger size. 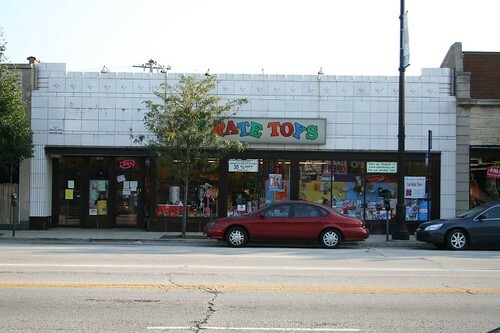 The early 30's stores were tiny. Beginning in the late 40's, many Jewel stores had an orange (glazed brick) trim strip across the top.Thanks for posting these! What a great post! 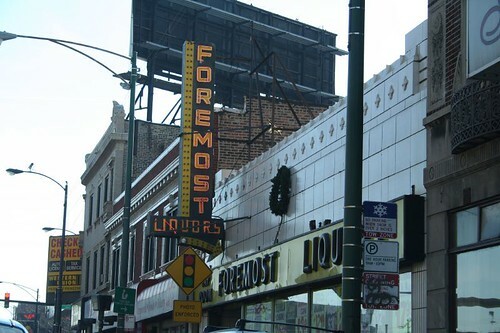 I'm a lifelong Chicagoan and had never heard about this. (Apparently I'm not "old enough."). Now I'll have to be on the look out for these! I finally saw that one on Howard Street — a block or two east of Ridge, almost completely covered by metal siding, just one little corner poking out. Good eye! my father and i grew up near the one on devon. he's always telling me about where the farms were and the fields. i'll have to ask him if his mom took him to that jewel.